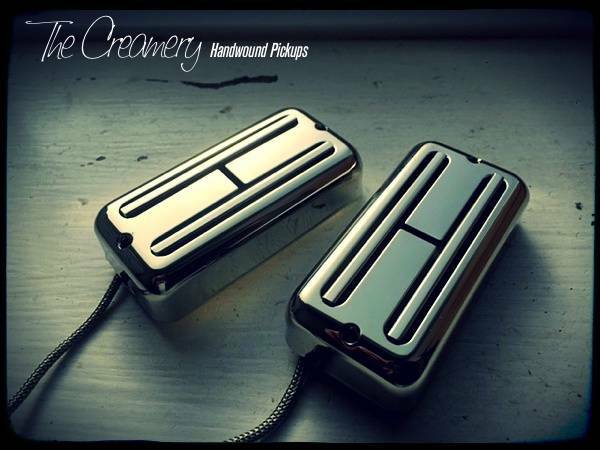 Fuller, fatter, hotter-sounding replacement pickups that retain the classic Gretsch clarity and definition while adding extra sizzle, extra power, extra dirt & grit. The much thicker Alnico 5 magnet helps keep the attack but being stronger due to their 1/4" height, the magnet and plated-steel blade poles work with the thinner 43guage wire in a specific, overwound offset, asymmetrical pattern to add a fatter, richer, fuller overall sound. Designed for those who want to roll back the brightness with much higher output but still want to keep the characteristics of the Filtertron sound - perhaps with a little more grit & dirt. Currently available with covers included.